Looking for options on where to find a vegetarian meal in Albufeira? After a week doing just that, here are my tips and observations. The Algarve in Portugal is world famous for its Piri-Piri Chicken and assorted fish dishes. The sardines apparently are to die for. But none of this is any good if you are a vegetarian in Albufeira. There are some great vegetarian dishes to be had in the Algarve, but they take some tracking down. I'm not here to provide a comprehensive guide, but to share my experiences and make some recommendations. Bon appetit! In Portugal, vegetarianism involves eating fish. Have a good look at the menu on display before being seated, else you may find yourself with nothing to order. 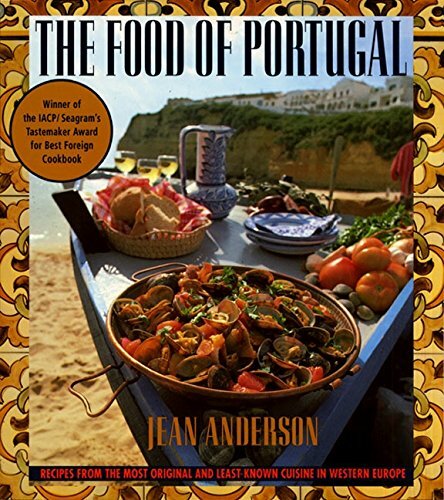 Check out that rather yummy looking meal on the front cover of Jean Anderson's book. In Portugal, that would be labelled vegetarian, despite the fact that the main dish is apparently some kind of mollusc. Oysters, clams, cockles and all of those internationally renowned fish dishes are blithely adorned, on Algarve menus, with a big, green 'V'. The restaurant owners are not trying to be sneaky. As far as I could ascertain, vegetarianism has not taken off in a big way in southern Portugal. It's a distinctly foreign idea, explained as 'sin carne' - without meat. There is no meat in seafood meals, it's fish. Wandering around Albufeira in search of genuinely vegetarian food, I was accosted by one restauranteur who was sure he could provide it. Bless him, but he really did not have a clue. He offered beef lasagne, then alighted with glee upon his extensive fish courses. Finally understanding that I will eat nothing that was supplied by a fisherman or butcher, he seemed distinctly crestfallen. "Salad?" He suggested. "I have great salads!" Then spotted one more thing. "Cheese omelette!" Salad and cheese omelette are ubiquitous throughout the region's eateries. If all else fails, you will be able to eat one of those. In fact, I managed to have a cheese omelette every single day of my Algarve holiday. 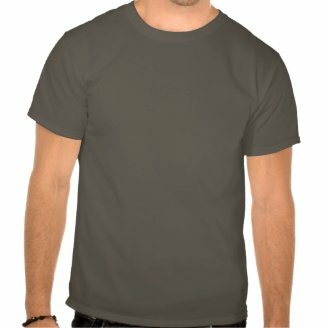 Fortunately, it was an easy one to default to, as I love it! For those of you who wish to try Portuguese food, then you're out of luck. This was my grand quest, which repeatedly ended in failure. It has been explained to me that the Portuguese simply do not have a traditional meal which omits meat or fish. All vegetarian dishes on offer will have been borrowed from elsewhere. Comida vegetariana Portuguesa or comida vegetariana á Portuguesa. That translates as 'vegetarian food Portuguese style'. Al Mareado in Albufeira has Vegetarian Food! Wandering down a narrow street in Old Town Albufeira, we stumbled upon Al Mareado. 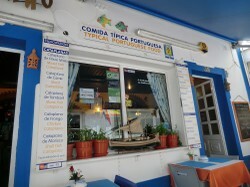 The restaurant offered typical Portuguese food. All of the options emblazoned across their display featured fish. It wasn't the most auspicious beginning to a veggie meal quest, but it turned out to be tremendous! I had spaghetti with garlic there, which was so delicious that I've tried to replicate it at home. Al Mareado can be found on the Rua da Liberdade, in Albufeira. Por do Sol in Sesmarias Will Make Vegetarian Food! The omnivores with me were dribbling over the picture display of lovely fish meals on offer at Por do Sol. I hung back a little, looking dejectedly at the written menu. There was a cheese omelette... and salad. Marco, the owner, emerged under the canopy and must have clocked my uncertain expression. After ascertaining the problem, he immediately made an offer. He could do some spaghetti dish without any beef. Would that be acceptable? It was. However, along the way, I'd mentioned that what I really fancied was a vegetarian lasagne. They had a beef version on the menu, which I naturally had to disdain. This wasn't even a conversation which I'd had with Marco. It was merely in his earshot with my family. The meals we were buying were take-out. Three of us were on a mission to feed the whole gang lounging around a pool in our villa. We relaxed with a jug of sangria, while our meals were being prepared. In a very timely fashion, we were furnished with three carrier bags filled with containers and set off down the road. When I opened mine, I gasped aloud with delight. Marco had made me a vegetarian lasagne for the price of the spaghetti meal. It was absolutely delicious. Por do Sol is on the Estrada do Castelo in Sesmarias. JKs in Sesmarias has Loads of Vegetarian Food! Apologies for the picture. It wasn't my greatest moment of photography and I'd be happy to replace it, if anyone has an alternative. For vegetarian eating in the Algarve, JKs Bar and Restaurant is like a great shining beacon of hope and diversity. There is so much choice! And all that I ate there was utterly delicious. While not a predominantly vegetarian restaurant, the British owners have certainly noted the niche in the market. Alongside an extensive list of vegetarian dishes, there are options in the meat menus too. Many of the meals there are available as a Quorn option. On my visits there, I munched very happily on quesadillas, potato skins filled with cheese and onion, nachos, and a Quorn beef enchilada so spicy, that I thought my sinuses would be cleared for life. Meanwhile, the omnivores all around me were tucking into slabs of meat bigger than their faces, and delicately aligned strips of fish. All were pleased to return again and again to JKs. It had something for everyone, including the vegetarian. JKs Bar and Restaurant is also on Estrada do Castelo, in Sesmarias, just down the hill from Por do Sol. For those Algarve vegetarians who don't want to hunt for their meals, then cooking for yourself is also an option. In Galé, there is a massive supermarket called Apolónia. It's sign-posted from just about every main road in the region, and it prides itself on stocking food from around the world. This includes a wide range of vegetarian meals. There are the usual raw ingredients for creating your own recipes, but there's equally a big frozen food section. It's labelled 'vegetariano', but you'd get the hint anyway from the sheer wealth of Linda McCartney ready meals there. I bought Quorn bacon, Quorn fish fingers, a mozzarella and spinach lasagne and a couple of pimento and cheese fries. They are more expensively priced than Britons will expect, but the branding is familiar. If in doubt, just ask any of the staff. It turned out that even those stacking the shelves were fluent in English. It's just not a 'thing' in Portugal. When they have so many world famous fish dishes, vegetarianism seems like a slap in the face. But it's inching in. I guess it's about supply and demand. The more veggies turn up, the more likely vegetarian meals will be on the menu. Such an enjoyable account - made my mouth water! I'm not vegetarian although other members of my family are the "without meat" type who will eat fish, so I guess they'd do well in Albufeira. Thank you very much, and I'm glad that you thought so. Lovely article - and really useful! Very interesting corner of the world. I liked the previous installment as well.